Everyone loves free stuff, especially after winning a huge contest! We patiently waited for a few weeks before calling. It only seemed right to give them the benefit of the doubt after they had graciously given us the first disbursement of our $50,000 in winnings from the Pepsi Refresh Everything contest. Yet, we still couldn’t help but be a little nervous. We had heard other winners we had allied with during the contest had received their kits. So, just as we thought about picking up the phone to our rep at Good, the package arrived. 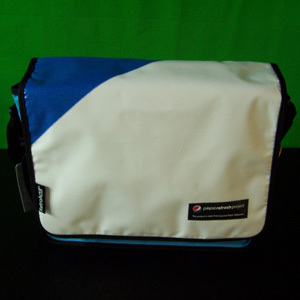 Tearing open the box, the first thing we noticed was the attention to detail Pepsi had. The carrying case had a great Refresh Everything logo on the lower right hand corner and was of decent quality. Opening it up, we found all kinds of goodies. Go ahead and take a view of the gallery and find out for yourself! Hi, “TannersDad” via Twitter sent me… Pls allow us to help with the documentary. My two older boys have been featured on the news, included in non-profit videos and as a former news producer I am proud to allow this to happen whenever the opportunity presents itself. Call me anytime, 210-478-2940. My kids are all over YouTube as well… And have come a long way from the dark days of when we first heard the “a-word” from doctors. Also, please share with everyone you can – our oldest son (who doctors said would never have a true friendship with anyone) defintely has a connection with this 5th grader – and it’s all caught on tape. Thx!